The library's eLibrary (or electronic library) provides patrons with access to ebooks, downloadable audiobooks, music, and databases from both inside of the library or anywhere else that you have an internet connection. Most connections require you to have your library card and PIN numbers handy. "LearningExpress Library features nearly 1,000 online tutorials, practice tests, and eBooks to help patrons of all ages. It offers job search and workplace skills improvement, skill building in reading, writing, math, and basic science, career certification and licensure exam prep, college and grad school entrance test prep, GED test prep, and more.. For access away from the library, please call and ask for the KYVL login information. "Kentucky Virtual Library (KYVL) is a collection of database for all ages provided by the state of Kentucky. KYVL includes Grolier encyclopedias and databases geared for children; scholarly databases for college students; and databases for general research for Kentucky residents of all ages. KYVL is accessible from within the library or from home with the current login and password. Please contact the library for current login information for access from home. 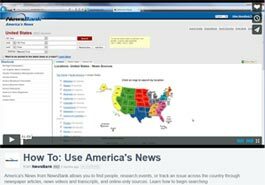 America's News With unmatched U.S. news content from local, regional, and national sources, this resource is the largest of its kind. Its diverse source types include printed and online newspapers, blogs, journals, newswires, broadcast transcripts and videos. 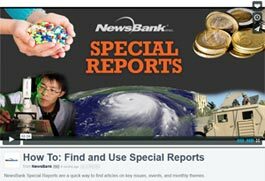 Explore a specific issue or event through the detailed coverage provided by local reporting or compare a wide variety of viewpoints from across the country on topics such as politics, business, health, sports, cultural activities and people. A few of the newspapers of local interest that are available through America's News are The Corbin Times-Tribune, London's Sentinel Echo, Somerset's Commonwealth Journal, the Lexington Herald-Leader, and the Knoxville News Sentinel. Note: For first time users, please register for Universal Class by going to this registration link: http://whitleycoky.universalclass.com/register.htm. Universal Class offers patrons a unique online education experience. With a growing catalog of over 500 courses, Universal Class is committed to providing only the most affordable and highest quality online training. Over 300,000 students around the world have benefited from Universal Class' unique instructional technologies. With real instructors guiding the learning, engaging video-based lessons, a collaborative learning environment, graded lesson tests, certificates of achievement and Continuing Education Units available for selected courses (check with your employer), students enjoy an engaging and measurable learning experience that helps them master and document their educational goals. The library's new Digital Magazine Collection lets you check out over 50 popular magazine titles. Use your library card to create a new account, and then you can read the magazines on your computer, smartphone, or tablet. Keep them as long as you want! You can also access past issues. New titles are added to the collection annually. Freegal Music gives patrons access to over 7 million downloadable songs. Each week, five songs can be downloaded from the Freegal Music catalog, and the music is yours to keep for personal use. The collection includes a wide variety of artists who are currently topping the charts along with past smash hits. Given the library's limited shelf space for music, Freegal lets us offer far more music to our patrons than we could through any other means. You can also download the Freegal App for most internet enabled devices. Cypress Resume lets you build a professional resume by simply supplying information. Get Free eBooks strives to make new connections between readers and authors by creating a place where readers can discover new authors. Kentucky Libraries Unbound (KLU) hosts the library's ebook, digital audiobook, downloadable movies, and downloadable music collection. The bulk of these items behave like a book on the library's shelves, meaning that only one person can have each copy checked out at a time. Items may be checked up for up to 21 days depending on the type of item. If you have a smartphone, tablet, or similar digital device, you can download the Overdrive App from either the Amazon App Store, the Google Play Store, or the iTunes Store. World Book Web is a suite of online research tools that includes encyclopedia articles, primary source collections, educator tools, student activities, pictures, audio, and video, complemented by current periodicals and related Web sites.